Egypt’s Constitutional Declaration dd. November 2012: Article 6 says that “The president is authorized to take any measures he sees fit in order to preserve the revolution, to preserve national unity or to safeguard national security.” Pictured President Morsi. 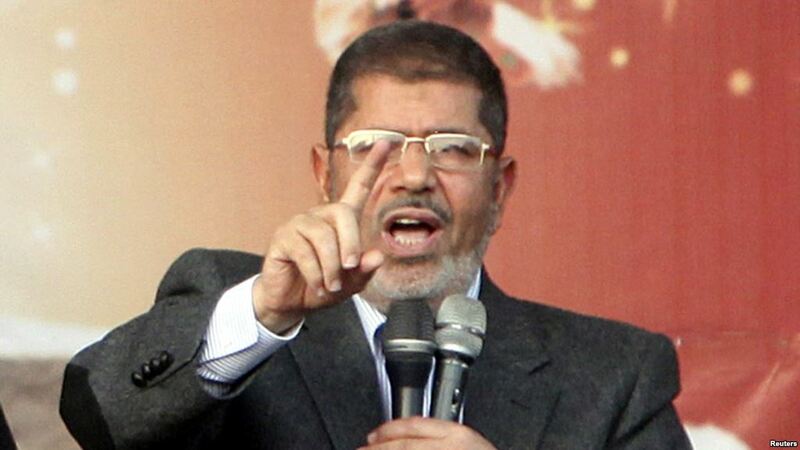 Not only the world was stunned, Mohamed Morsi himself was also surprised, by the overall negative reaction. Didn’t he take these powers to give blinded revolutionaries pensions, to reopen the trials that let those responsible for the killings unpunished, to give the liberals more time to finish the constitution? And above all, didn’t he fire one of the most hated remnants of the old regime, the public prosecutor, who refused to investigate so many cases filed by revolutionaries? So, what was Morsi thinking when he issued his declaration? Was it amateurism or bad will? A lot of people on Tahrir said: “Told you so. The Muslim Brotherhood is a Masonic-like organization who wants to take power in order to turn Egypt into a second Iran.” I believe the problem lies somewhere else. I asked sources, close to the president and the government, in private what was going on. What they told me struck the historian in me. They unfolded to me that the government had proof that the judges, the administration and the media were conspiring against the president and the government. Not to overthrow them but to block whatever they wanted to do to make progress. The media, they said, did not bring the good news. They only criticize. No wonder, because they were paid by foreign funds. There was even proof that some liberals were in the same kind of conspiracy. Sure there is some truth to it. The media hasn’t been very kind. The Constitutional Court had dissolved the People’s Assembly and was poised to dissolve the Constitutional Assembly as well. The public prosecutor has indeed not been very cooperative. The judges seemed to have used legal grounds to motivate political rulings. The bureaucracy is dragging decisions into the administrative mud. And the liberals walked out of the Constitutional Assembly. But labeling al this as a conspiracy is more then one bridge too far. I have worked in opposition and government in Belgium. Every politician gets that feeling at least once in his career. The ‘they-are-all-against-us-motif’ is an all time classic. It happens in all countries in the entire world. The question is how do you react to it? The biggest danger is going into the bunker-mentality, closing your self up in retreat, waiting for the right moment for a counter-attack. In a fully fledged democracy this counter-attack is always pretty harmless, because the bunker-mentality makes you misread the situation and loose the next election. Nicolas Sarkozy is a good example. In a post-revolutionary situation, the counter-attack is mostly very dangerous. Because whatever you decide, your bunker-mentality will make you only more suspicious and will encourage you to go down the path of dictatorship, step by step. Egypt has seen this evolution before. When Nasser took power in 1952 he didn’t shut down democracy immediately. I even think his initial intentions were good. He wanted to liberate Egypt from its foreign occupiers and their puppets. But then he was drawn into the bunker-mentality. He didn’t trust his former friends anymore and surely not the political parties that wanted to block his plans. Gradually, Nasser turned into a brutal dictator himself, sacking president Naguib, abolishing political parties and imprisoning all ‘anti-revolutionary forces’. This is the psychology of post-revolutionary dictatorship: fighting the enemy of the revolution from an ever smaller becoming bunker. Many revolutionary leaders went down the same path. After the French revolution some leaders wanted to fight against the counterrevolutionary forces. They weren’t butchers by nature. On the contrary, they were mainly intellectuals who were suddenly overwhelmed by the fear that the revolution might fail. Lenin made the same mistake. Initially, he wanted to install a government out of representatives of the Soviets. The Soviets were the councils set up by soldiers, farmers and workers against the reign of the Tsar. But when the councils – without which no revolution would have been possible – criticized the plans of Lenin, he labelled them as enemies of the people and sent them to Siberia. I am not saying that Morsi is a dictator or that the Muslim Brothers are the same ruthless people as the Bolsheviks. But they should realize that there is no such thing as a big conspiracy against them. There simply is no human brain big enough to master media, judges, politicians and the street. That only exists in films of James Bond. Most people just fight for their ideas or for their own position. Of course, there are many opponents who would like to see them fail, but that is the case in every democracy. The Central-European countries needed two decades to become well-functioning democracies after the fall of the Berlin Wall. Transition is not easy and it takes an awful amount of time. The problem is that once you go down the path to dictatorship, there is hardly a way back. So Morsi has the choice: either he sticks with his declaration and has to start a crackdown in order to maintain it. Or he leaves his bunker, cancels his declaration and faces the difficulties every post-revolutionary transition has to deal with. There is always a way out. The president and the opposition should start a dialogue instead of setting ultimatums. Deleting articles 2 and 6 and agreeing on a way to move forward with the Constituent Assembly might be the only solution to avoid a major political deadlock. It is not easy and often very frustrating. But thinking that a short period of dictatorship will set everything right is wrong. History proves that the path to democracy never leads through dictatorship. 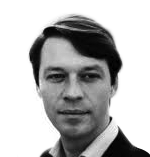 Koert Debeuf lives in Cairo, Egypt, where he represented the EU parliament’s Alde group for many years. Currently he is Project Coordinator “World Leaders on Transitions towards Democracy” at International IDEA. He is a former advisor of a Belgian prime minister. Reporting from post-revolutionary Egypt, his columns are a window on events in the Arab world. Koert Debeuf is also author of ‘Inside the Arab Revolution’. For more columns of Koert Debeuf, click here.